Maybe this is one of the best options if you are at Saltlake for pandal hopping. 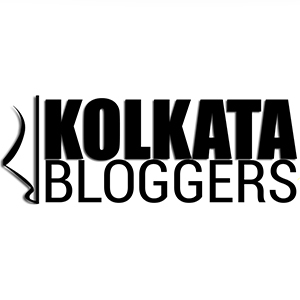 This relatively newly opened Bengali food joint has created some buzz in last few months. Sonar Tori is here with their Durga Pujo offerings. The set menu in their ‘Durga Puja Special Thali’ has got an amazing variety and it all starts with a welcome drink. You will get a choice of five starters, nine main course dishes, one portion of pulao, rice or luchi, chutney and papad, followed by three desserts. I am sure this dose of authentic Bengali food will leave you super satisfied! 6BP is probably the most popular Bengali restaurant, keeping in mind both quality and pocket pinch. And during Durga Pujas one visit to this holy place is a must! Like every year, this time also they have curated a Puja special buffet menu that is studded with 22 amazing dishes! Every day of Durga Puja (starting from Shasthi) there will be a different menu! In this Puja special menu, one must try the Bhuna Chingri, Murgir Tamfrado, Dhakai Pora Mangsho, Kachalanka Dhonepata Murgi, Royal Nawabi Mangsho, etc. Please find below the detailed Puja special menu. Astor Hotel is celebrating Durga Pujo with a magnificent Bengali Buffet called ‘Bangali-r Henshel’ at Kebab-e-Que. This buffet has been specially curated for the Pujas and will be accompanied by live entertainment. On the menu, they have got amazing kebabs and chops. I absolutely loved the Piyaj posto narket bora, mutton sheikh kebab, gondhoraj fish roll, murg chakori kebab, etc. In the main course definitely try the Chingri Malaikari, Mati-r hari-r mangsho (which happens to be super soft), dakhai murgi-r roast, pomfret aam aada shorshe, piyaj morich Mourala mach-er chorchori, etc. You can also try veg dishes like enchor-er kalia, phulkopi-r roast, hing narkoli chhola-r dal. There is an option of fries or bhaja, and Chaat & ghugni apart from this. And yes, don’t forget to try the Kucho chingri bharta, Dim-er bhorta, begun er borta, etc. There is a plethora of desserts like Kmola bogh, mishti di, sandesh platter, malai rosogolla, and much more. The Puja Menu will be on display at JW Kitchen, the all-day dining restaurant at JW Marriott Kolkata. The menu, on offer for lunch and dinner, will primarily comprise of Bengali Cuisine which reflects the rich taste and heritage of the city including items like ‘Aloo Chechki’, ‘EchorerDalna’, ‘Aam Kasundi Paneer’, ‘Kachalonka Murgi’, ‘Mutton Dakbanglow’, ‘PostoMurgi’, Paach Misali Tarkari’, ‘Ghee Bhaat’, ‘Gondhoraj Masur Dal’ ‘Mutton Roganjosh’ and ‘Dhonepata Chicken’. A special Midnight Buffet will also be open for night time snacking, for all our guests and patrons to enjoy during nightlong pandal hopping sprees. Let’s gorge on the midnight menu which will offer delicacies like ‘Murgh Tariwala’, ‘Bhetkir Jhol’, ‘Veg Biryani’, ‘Aam Dal’, ‘Rohu Kaliya’, ‘Paneer Kaliya’, ‘Bhaja Moong Dal’, ‘Mochar Ghonto’, ‘Sorshe Maachh’ and much more. End the bhuri bhoj on a sweet note with mishtis like ‘Rasgulla’, ‘Gulab Jamun’ and special sweet creations by the JW chefs. If you are craving for Chinese food during the Pujas in a classy environment, head straight to this place. This Durga Puja, Yauatcha Kolkata is here with a special Festive Puja Menu!! They have a delightful combination of newly introduced festive flavours from their special Durga Puja menu, curated diligently by the master culinary chefs. The choices range from delicious options in a la carte, or the Dimsum baskets. In the Festive Puja menu, you can try their Crispy cone with mixed fruits and vinegar jelly (Rs 425 ), Wild mushroom bun with truffle (Rs 525 ) or the Fried sesame ball in black pepper (Rs 450 ), these can be savoured by the vegetarians. Chicken and rice pearl (Rs 375), Crispy cone with prawn and vinegar jelly (Rs 475), Fried sesame ball with chicken and prawn (Rs 500), Braised lamb cheung fun (Rs 575) can be enjoyed in the regular (non veg) menu. When:Oct 12 to Oct 19, 2018, 12 noon to 11.30pm. Price: A la carte option starts at Rs 375. Dimsum basket starts at Rs 495. Now if you are at Park Street during Pujas, then this is the best option for sure. At Park Hotel, the Puja special menu will be available at The Bridge, Saffron, and Rosewood. At Rosewood, here will be Puja Mahabhoj with Live Band and Live Dhaaki. The extravagant buffet spread, includes dishes from all parts of the state. The menu highlights consist of starters like Anglo Indian Butter Fish Fry, Beet root and onion piyazi. The main course includes Chingri Malaikari, Kacha Lonka Diye Murghi, Kosha Mangsho, Dhoka-r Dalna, Aloo Dum, Suktuni along with Mishti Pulao, luchi and you can end things on a sweet note with Sponge Rosogolla, Mishti Doi, Sita Bhog and Vanilla ice-cream with hot chocolate sauce. At Bridge, you will get a fusion buffet along with alcohol, which starts with salads, bhaja & street chat station, Bengali Fish chop, Babycorn Pepper Salt, etc. The main course includes Vegetable in hot garlic sauce, Fish in honey chili sauce, Tangra style chili chicken and burnt garlic noodles. Besides this, there are also Bengali traditional dishes. At Saffron also, you will get Pujo special Veg and Non-Veg Thali with a pint of beer. Oh Calcutta started back in 2002 by Speciality Restaurants and it serves traditional Bengali cuisine in a classy, fine-dining environment! They have introduced Puja Special Lunch buffet at their Forum outlet. Now, this buffet has two sets of menu. One is for valid from Sashti to Ashtami. The other one is valid from Nabami to Dashami. The buffet menu comprises of some delicious traditional Bengali dishes like Kosha Kakra, Chitol Machh-er Muithya, Chingri Malaikari, Aam Kashundi Phulkopi, Potol Posto, Dhonekhali Kakra, Dak Banglow Mutton Curry, etc. And there is Gur-er Payesh, Chenna Sandesh, Golap Patar Sandesh, Mihidana, and much more in the desserts! If you want a break from the traditional Bengali meals after trying out so many Bengali joints, head straight to my favorite Italian culinary paradise in the city – Serafina. It’s conveniently located at Quest Mall and is considered to be the best Italian joint in the city of joy! New York’s beloved Italian eatery with its Roman arches & hearty tones along with its trademark hand-painted walls has been my all time favorite dine-in place for its classy, vehement & Italian pleasant charisma. If you want some of the finest Italian delicacies paired with some red wine and topped with that iconic Tiramisu or the Crème Brûlée, then Serafina should be your ultimate choice during the Durga Pujas. You can be rest assured the quality of food is always top-notch here at this place, even during the Durga Pujo rush! If you are near Saltlake Korunamoyee area during the Pujas, then head straight to this place at Saltlake Sector-V, housed in the Globsyn Building. Sly Fox has launched a Puja Special Menu which is loaded with amazing Bengali dishes with a mild Sly twist! Besides their signature dishes and wide range of unique mocktails, these Puja special items will surely impress you. The special menu includes items like Victoria Shake, Bela Sorbet, Black Tango, Eggs Nest, Crumb Fried Begun Bhaja Salsa, Aloo Moshai, Gondhoraj Fish Tikka, Tandoori Pomfret, Luchi aar Kosha Mangsho, Kakrar Tagine, Prawn Malai Curry, Sorse Bhetki, Sly Kheer, Gulab Jamun Cheesecake, etc. And yes, the ambiance is warm and classy, perfect for a laid-back meal with your loved ones. The Stadel is also all geared up for the festivities! A special food festival ‘Dashobhujar Agomoni’ offering special menus at the various units of The Stadel has been curated around the same. At their First Innings multi-cuisine restaurant, a Durga Puja special multi-cuisine buffet has been launched. And the menu includes amazing Bengali dishes like – Aam ada diye vegetable cutlets, Macher dimer bora, Muktomukhi Sukto, Kodaisuti Dhokar Dalna, Murshidabadi Mutton Kosha, Kolkata chicken Biriyani, Topse Bhaja, Prawn Malaikari, etc. Wash these down with some Jaljeera or Gondhoraj Lebur Shorbat! Also you can go for their a la carte menu, if you are not in a mood to go for the buffet. They have also introduced their Puja special A la carte menu along with cocktails and mocktails. In the a la carte you will get Bengali, Indian, Oriental & Continental – veg & non veg options to choose from. Enjoy the Pujas and enjoy it with loads of awesome food! Subho Sharodiya! Previous Post Naushiijaan – the Nawabi kissa of kebabs, biryani and Bugum Akhtar!